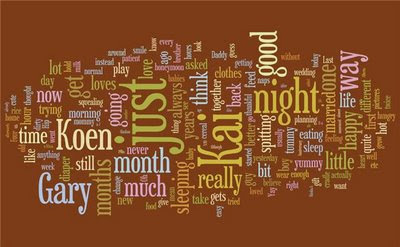 Here is a wordle of my blog. I'm thinking its taken from the last 5 posts or so. The bigger the word, the more frequently its used. Thanks Tyler!